We did it! 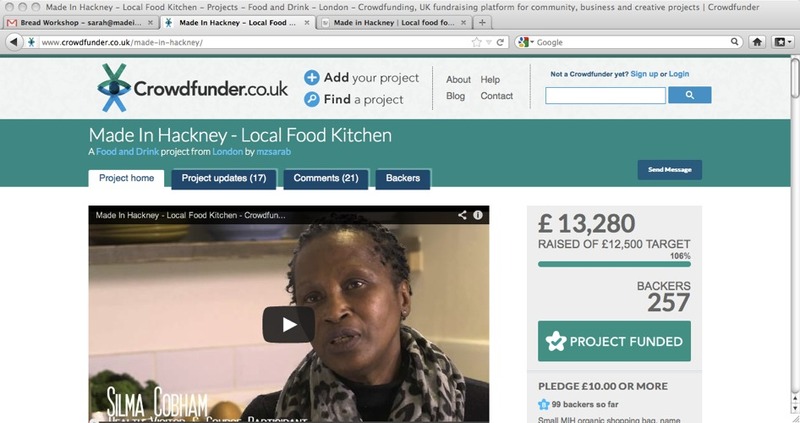 Made In Hackney Hits Crowdfunding Target! Thanks to the massive generosity of nearly 300 donors we not only raised our crowdfunding target of £12,500 but surpassed it and made it to £13,280! Amazing. During the campaign we were overwhelmed with people’s kindness. Local businesses such as The Russet, Yum Yum and Look Mum No Hands donated prizes while La Bouche and Food For All made cash donations. Supporters hit Twitter and spread the campaign far and wide with some people tweeting about our campaign everyday! Incredible. The Made In Hackney volunteer team did a stellar job, handing out flyers, doing market stalls and rattling buckets at London Underground Stations. The money raised will go towards covering vital course costs so we can keep delivering cookery and food growing programs to local community groups. We’re having a celebration party on May 10th, at the Dalston Curve Garden, 4-8pm. Come on down!